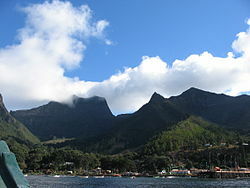 The Juan Fernández Islands (Spaingie: Archipiélago Juan Fernández) are a sparsely inhabitit island group reliant on tourism an fishin in the Sooth Paceefic Ocean. ↑ 2.0 2.1 2.2 "Censos de poblacion y vivienda". Instituto Nacional de Estadísticas (2012). Retrieved 2 January 2013.